NEW DELHI: The National Green Tribunal will take up on August 2 the arguments on plea for contempt proceedings against spiritual guru Sri Sri Ravi Shankar for his alleged statement terming the environment compensation imposed by the green tribunal as politically motivated. The Art of Living (AoL), founded by Sri Sri Ravi Shankar, has maintained that the foundation has not flouted any environment norms while organising the World Culture Festival (WCF) or caused any damage to the Yamuna floodplains where the three-day event was held. The National Green Tribunal (NGT) on Wednesday asserted that it has powers to move contempt proceedings against anybody disobeying its orders. “The Tribunal has power to punish the people disobeying its orders. Section 19(4) of the NGT Act vests the power of Civil Courts in us. We can issue contempt notices,” Justice Swatanter Kumar, the chairperson of the NGT and former Supreme Court judge, said while responding to queries of Art of Living (AoL) counsel. The NGT had asked the AoL to pay Rs.5 crore as environment compensation for the damage the World Culture Festival (WCF) had caused to the fragile Yamuna floodplains’ eco-system in March this year. Even after two months of the completion of event, the foundation is yet to pay the entire amount, although it had paid a part of it (Rs.25 lakh) before the commencement of the event. The court has also directed the principal committee it had appointed in March to “assess the damage incurred by the WCF to the floodplains” to submit its report by June 8. The wrath of the green court has come after Ravi Shankar’s statement in an interview where he reportedly had said the fine imposed on him was politically motivated. 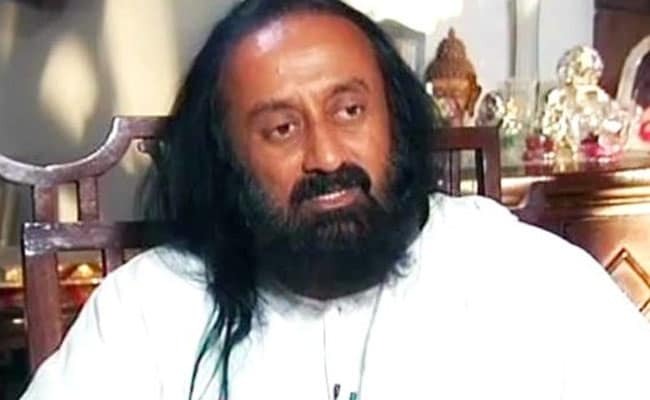 Environmentalist Manoj Misra filed a contempt notice in the NGT against Sri Sri Ravi Shankar on the basis of the statement, and the court on Wednesday said it will hear the arguments from both the sides on the issue from August 2 onwards. On its part, the AoL has maintained that neither has the foundation flouted any environment norms while organizing the WCF nor has it caused any damage to Yamuna floodplains. “The Art of Living was prepared with replies to applications on enzymes and alleged statements by Sri Sri to some media. However, the NGT gave three more days to file the replies,” the foundation said in a statement released here. “It may be stated here the allegations by Manoj Mishra regarding Sri Sri’s comment on the NGT are baseless. The petition was based on unverified newspaper reports,” the AoL said, adding it “has the video of the speech that clearly shows that no such comment was made by Sri Sri”. “It was yet another malafide attempt by Misra to malign and tarnish his (Sri Sri’s) image by false claims,” the AoL said. Meanwhile, Mr Misra’s lawyer Ritwick Dutta told IANS that the green court has asked the AoL to file its reply on the his contempt notice.